I was the first person to get a job from CoolWorks. It definitely changed my life. I got the first inkling for what became CoolWorks 20 years ago this month. In January of 1995 I was halfway through the first year of an Environmental Management MBA program at the University of Washington (UDub). I was at UDub taking a break from 14 years of seasonal life in Wyoming, Washington and Alaska, followed by 9 years of working year-round in Yellowstone as the Director of Business Operations for Yellowstone Park Service Stations (YPSS). There were a lot of hands-on lessons learned about business — and life — in those seasonal years and I was looking to dig in deeper with that MBA and see what that might lead to back here. – Here is Yellowstone. I need to be here. In an Information Systems class, they showed us something called Mosaic. Mosaic was the non-text web-browser that was just beginning to open up the web. It hit me that millions of college students had free internet access and free summers — and that I knew a lot of the folks doing the recruiting for thousands of summer jobs in the national parks. And it looked as if this World Wide Web might just become a Thing. Over the next few months I learned some basic web design, mocked up a seasonal job board on my student account and started pitching the idea. Cool Works became my 1995 summer job. It got busy. The MBA thing had to wait. It’s still waiting. I put $5,000 in a checking account and started working full time at it in June. CoolWorks.com, the domain, went live on September 12. I sent out the first bills on November 1, 1995. It all started when a door opened when I was 19. A buddy from high school heard about summer jobs in Yellowstone from his Uncle. We small-town boys from Atwater Minnesota applied and ended up pumping gas in that summer of 1972. It was a game changer, an “Oh Wow!” summer. Yellowstone has been in my blood, under foot and in my view-shed for more than 40 years now. I came back throughout college and worked my way into seasonal management positions after graduating, with longer seasons and better pay. I was incredibly lucky to nab a job as a Winterkeeper for 9 winters (moving snow off the roof of the Old Faithful Inn for 5 winters and the Lake Lodge for 4 – and doing a lot of x-country skiing). I’ve got pictures in a shoebox here somewhere. The years of summer/winter seasonal jobs allowed for a lot of spring and fall travel that was priceless – you double-seasonals know what I’m talking about. The summer jobs morphed into a few seasons with the National Outdoor Leadership School (NOLS). 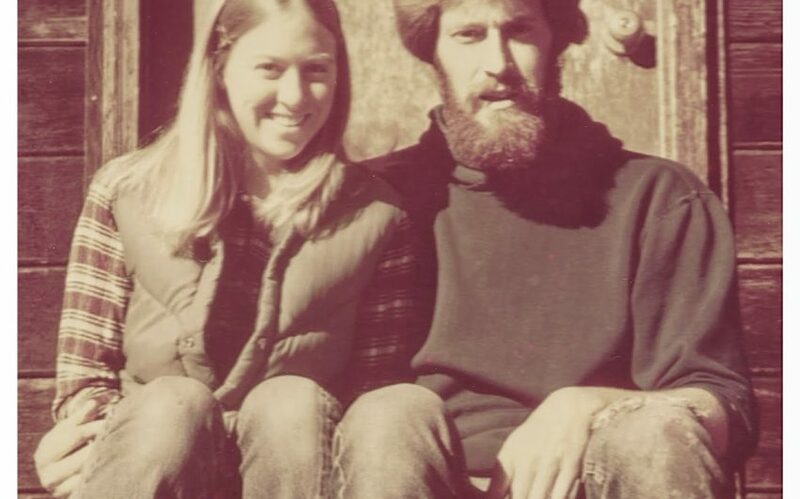 I saved up and took a semester with them in the fall of ’76, was invited to take the Instructor’s Course in ’77, climbed Denali with them in ’78 and led courses in the Wind Rivers and North Cascades in ’79, ’80 and ’81. Oh – and Colette came to Yellowstone to pump gas in ’74, and broke the “Gas Ceiling”. She and Bonnie were the first two women hired to pump gas as opposed to working as cashiers. She became a Ranger in Yellowstone in ’79 and we were married in ’82. Two lives changed. Right there. That’s how it happens. The years roll by… They’ve been very good ones. Colette retired almost 3 years ago now. She worked most of her career in law enforcement – and so much more – in Yellowstone. She had to hang up her holster when she turned 57. I did a stint as a backcountry Ranger for the Park Service for 2 summers in Yukon-Charley Rivers National Preserve in Alaska in ’82 and ’83, where Colette and I were the first NPS employees to live in the Preserve. Then I put in one awesome summer in the Yellowstone backcountry, based out of a patrol cabin in the Southeast Arm of Yellowstone Lake. My gig was to patrol the Arm in a sea kayak. Somebody had to do it. My 9 real-job years with YPSS involved a lot of work to recruit seasonal staff for Yellowstone. I got a strong dose of the HR joys and challenges of assembling and disassembling a seasonal staff every year for 13 operations scattered around the park. Offering those jobs in Yellowstone, training those folks, watching how the experience changed their lives and then sending them off at the end of the summer – and now seeing how that experience has shaped their lives and my own decades later – it’s beyond priceless. We get that same rush at CoolWorks. We know it by what comes across our screens as we work. We FEEL it when we go out, branded shamelessly, to most any travel destination in the US and are approached by folks who see our logo and deliver some version of “CoolWorks changed my life”. Well, Cool Works changed MY life and our mission is help you find a life-changing experience as well. Seven of us team up to do this. Kathi has been bringing the magic since ’97, Patty since ’99. Eric helped me figure out how to launch the site and register CoolWorks.com in ’95 and then we put him on the payroll in 2001. We poached Kari in 2007, Ker’en in 2012 and Kelcy in 2013. It sure doesn’t hurt if your name starts with a K around here. Those 6 bring a lot of experience, love and passion to this thing we call CoolWorks. It’s our legacy. We think it’s pretty cool. We hope you do too. I believe in the life changing power of a seasonal job. You bet I do. A seasonal job blew my doors, my eyes, and my horizons wide open. I really didn’t see any of this coming when I put in my hours in the seat of a tractor pulling a pea combine on a Green Giant crew during my first summer out of high school. My break came through sheer dumb luck. We hope that CoolWorks can lay out a deliberate path for you. If you are in a position to do it, DO IT! Mix it up. Grab a job in a great place. There’s plenty of magic to go around for students, soul-searchers, returning veterans, double-seasonals, those in-between jobs and my older/bolder baby boomer peers. You never know where it will lead. I am so thankful and excited I ran across this website! I’ve been wanting to leave my job of more than twenty years and haven’t been quite sure what I was going to do for work or where I was going to live. I just know I want to go far away as I love to travel! This sounds so perfect for me! My child is an adult, I am single, and I have nothing “holding me down”. And I can live multiple places instead of trying to narrow it down to just one! 2016 cannot come soon enough!